Samsung is facing a class-action lawsuit from disgruntled Galaxy Note 7 owners. This lawsuit, which is focused on Samsung’s handling of the Galaxy Note 7 recall, is the first filed over the issue, but it’s unlikely to be the last. Three former Galaxy Note 7 users have filed a potential class-action lawsuit against Samsung. Their complaint centers on the delay between Samsung recalling the handset and actually offering replacements. In early September, Samsung and the CPSC told users to power down their devices Samsung: Power Down Your Galaxy Note 7 Immediately Samsung: Power Down Your Galaxy Note 7 Immediately The Galaxy Note 7 is done. Game Over. Samsung has admitted as much, telling owners to power down and stop using their devices. Please heed this advice. Please. Read More and exchange them for alternatives. The complainants argue that they were then left with a stark choice between swapping their Galaxy Note 7 for an inferior alternative such as the Galaxy S7, or making do without a phone completely. All the while continuing to “incur monthly device and plan charges associated with their Note7s”. This last part is the crux of the matter. Rich McCune, one of the lawyers involved in this lawsuit, explained to Motherboard that the plaintiffs want compensation for the money lost during this interim period. So it’s all about “economic injuries” rather than actual damage to person or property. We now know even the exchange program didn’t turn out the way Samsung had hoped. And some replacement handsets also overheated. This eventually led to Samsung killing the Galaxy Note 7 Samsung Kills the Galaxy Note 7, Because Boom! Samsung Kills the Galaxy Note 7, Because Boom! If you're currently in possession of a Galaxy Note 7, then you may soon be holding a very rare item in your hands. This is because Samsung could be planning to kill it off entirely. Read More entirely, and asking everyone to hand their hot bricks in at their earliest convenience. Samsung has yet to comment on this lawsuit, and a judge will need to approve it before it proceeds to court. 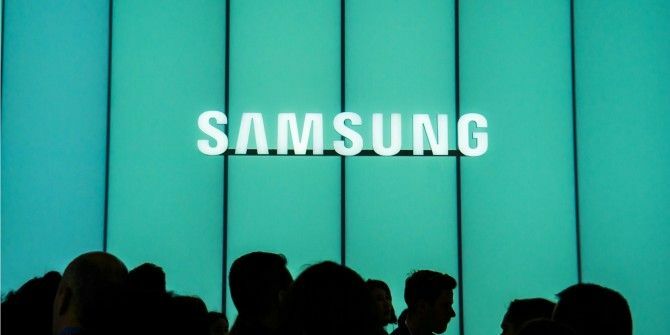 In the meantime there are bound to be more people preparing more lawsuits against Samsung. Especially in the overly-litigious United States. One thing that may count against lawsuits of this nature is the amount of people choosing to keep hold of their Galaxy Note 7 handsets. Despite repeated requests to swap the device for a safer alternative Dump Your Samsung Galaxy Note 7 for Something Less Dangerous Dump Your Samsung Galaxy Note 7 for Something Less Dangerous All four major US carriers are now letting their customers dump the Samsung Galaxy Note 7. Customers can exchange their device for a less dangerous alternative. Read More , some people are sticking with their first choice of phone despite the risk of it exploding in their face. Perhaps Samsung should sue them for being idiots. Did you own a Galaxy Note 7? Do you still own a Galaxy Note 7? What do you think of this potential class-action lawsuit? Do you think Samsung is culpable for what happened with the exploding batteries? Please let us know in the comments below! Explore more about: Law, Samsung. I want to sue samsung. I have the note 7. I exchange my first note 7 for a replacement note 7 when the first recalled. Since I purchase the phone from samsung I had to go through them for the exchange. I never say the $25 credit they promised. Now I'm trying to exchange the 2nd note 7. Put in the order through samsung after they called and emailed me about exchanging the phone. I choose the s7 edge. I called 3 days to check the statues. Samsung tells me it will be weeks before they send the phone and that Im unable to request the refund since I already agreed to exchange the phone. Now they have blocked these note 7 where you can not charge them higher the 59%. This phone heats up. Im scared to use it. But I have no choice. My phone is my job. Im a realtor. Then on top of that samsung charged me $962 including tax for the note 7. The edge is only 780. They are only offering 25 credit back. I found this out from a email they sent me after I agreed to exchange. So I will be out of $182. Thats stealing from there customers. This will be the last samsung product we buy. I think it's a frivilous lawsuit. The period in question the carriers made this whole process (surprisingly) easy to swap out for a temporary device. I had both phones - I preodered and had the original phone on release day, turned it in the day after the first recall and swapped for a S7 Edge, then swapped back to the Note7 the first day they had the replacement devices. Neither of the devices I had even got warm outside of the initial setup sync, which is largely to be expected. I think Samsung handled this exactly as well as they could have. They issued a manufactorer recall, and consumers chose to ignore it. 40% it seems, chose to ignore the recall. Then carriers made it stupid simple and cost-free to swap out phones (I had 4 phones in the period of a month and ended up paying less on my bill) . During this time for the swap out, AT&T and Samsung both reached out to me multiple times via text and email to swap my device. Same thing with the second recall. These are just people hoping to make a quick buck because of their own negligence. There are likely a few legitimate cases where Samsung could potentially be liable, but the rest is totally on the consumer and the decisions they made. I honestly don't see any class-action getting anywhere with this. > Perhaps Samsung should sue them for being idiots. Perhaps you shouldn't write articles about the people you don't understand. No, I agree with his statement here -- as someone who had both the original Note7 and the replacement Note7. There was literally no loss of service for me at any point that would indicate any monetary damages. This purely an opportunitistic lawsuit hoping to cash in on a failed product launch.